Five Star Sedan & Limo offers an array of elegant limousines and executive sedans for any type of event. 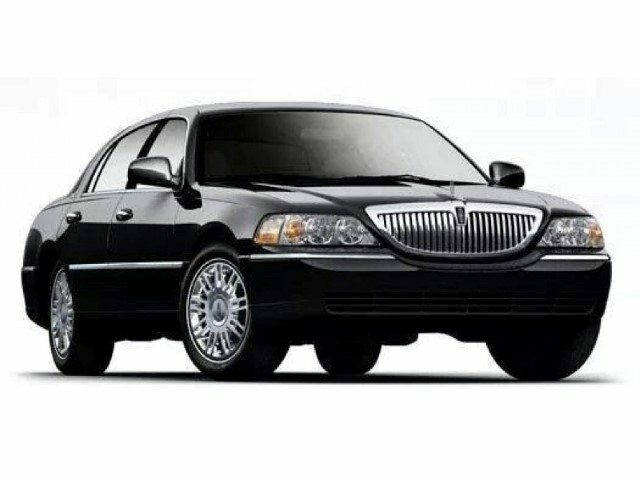 Call 616-856-1779 for more information about our luxury transportation services. 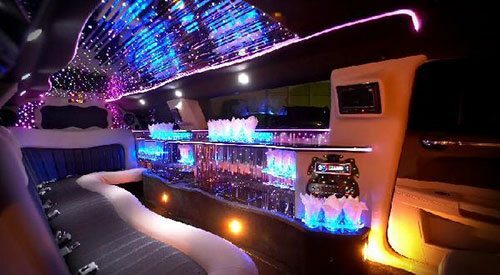 Our Luxury Limo Bus is the ultimate for large groups featuring plasma TV monitor, a high performance sound system and DVD player. 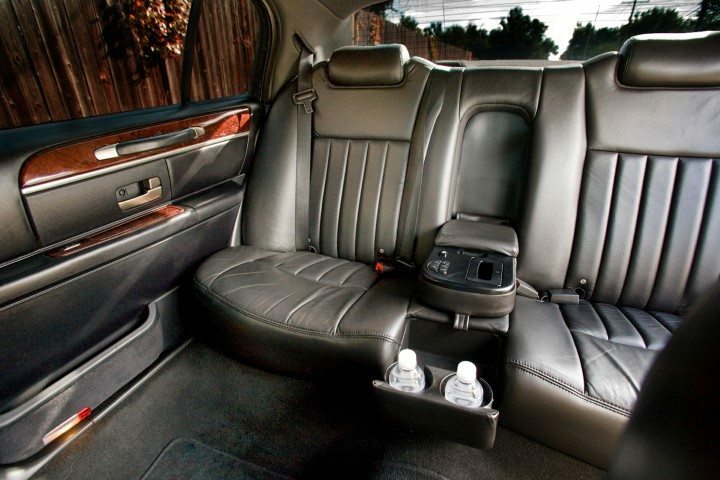 In additional you will enjoy a custom built interior including plush leather seating. 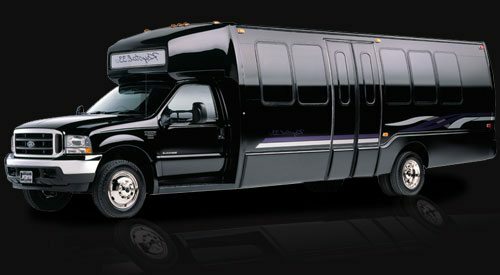 These vehicles can accommodate up to 24 people. 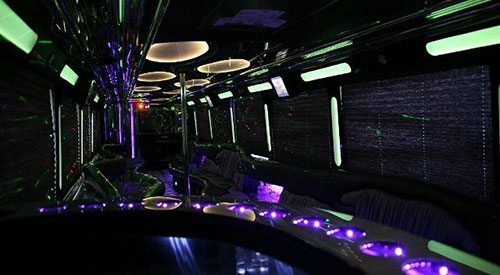 Five Star Limousine provides Luxury Limo Bus service to all of Grand Rapids and Western Michigan: Grand Rapids Party Bus / Western Michigan Party Bus / Grandville Michigan Party Bus / Western Michigan University Party Bus. Experience the ultimate in luxury with this Pearl White limousine featuring LCD TV monitors, an upgraded platinum stereo system, and DVD player. 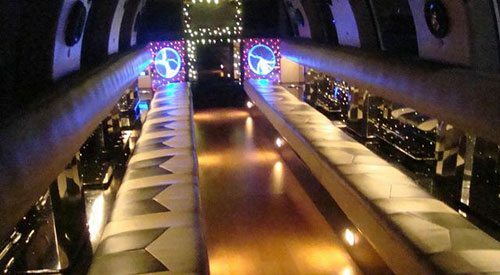 In addition, you’ll enjoy a bar with a stainless steel back and fiber optic lighting. Perfect for larger groups, this beauty can accommodate 20 comfortably. Call today for more information. 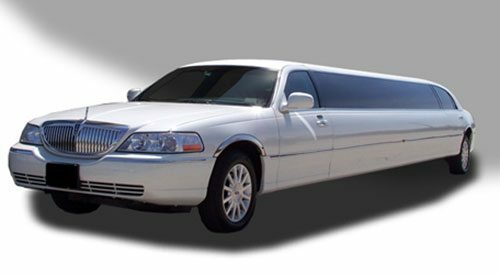 Enjoy room for up to 12 passengers in our beautiful pearl white stretch limousine. 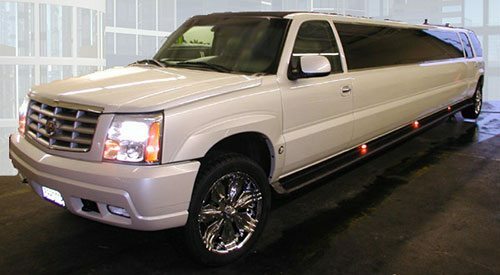 A top-of-the-line custom-built interior, this vehicle is perfect for weddings or a night out on the town. Call to book your reservation today! Arrive in style in our executive sedans. We provide black sedans with numerous amenities. Perfect for discreet and comfortable travel to airports or hotels, these seat up to 4 with plenty of luggage space. Five Star Sedan & Limo provides Luxury Stretch Limousines to clients in Grand Rapids, Kalamazoo, Grand Haven & Holland MI. Five Star Sedan & Limo offers an array of elegant limousines and executive sedans for any type of event. Get all the information about what our company has to offer.